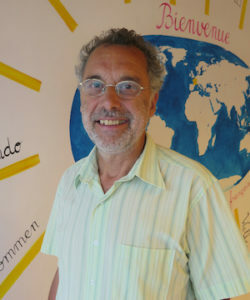 Born in Annecy in 1957. After his Master in Modern Literature and his Master and DEA in French as a Foreign Language, he taught French culture and language in China, Germany, Lebanon and France. Thanks to his various experiences, he decided to open an examination centre for DELF and DALF in his home town. So he created CILFA. He has been the director since 1999. He likes to share his region with others, particularly the mountains that he wanders again and again by foot or with skis or that he flies over (paragliding). Born in Haute-Savoie in 1980, Virginie has a binational degree in Italian and French. In addition, she holds a Master of French as a Foreign Language and Interculturalism. She taught French in different countries (Lebanon, Bulgaria and Turkey). On her return to France, she worked with adults in order to improve their skills and increase their employability. 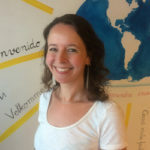 Teaching at CILFA since 2015, she enjoys contact with people, meeting new cultures and discovering new languages. She tries her best to adapt each course according to her students’ needs, using humour and pragmatism. She likes mountain sports and Latin dances. 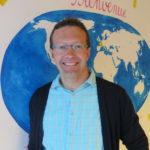 Born in Nord-Pas-de-Calais (Dunkerque) in 1986, Marion holds a Master of teaching French as a Foreign and Second Language as well as a Master of Linguistics, Language Learning and Computing. 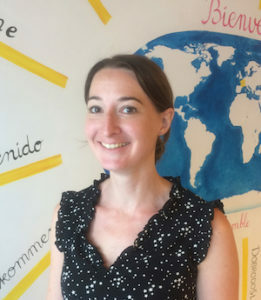 Teaching at CILFA since July 2011, she also taught French in the United Kingdom, Australia and other parts of France. Passionate about photography, she is always keen to go on a trip (close or distant), meet new cultures and discover new languages. 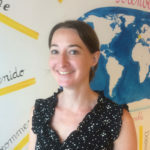 Coming from the Paris region, Elodie holds a degree in Modern Literature and a Master in Linguistics and Language didactics. 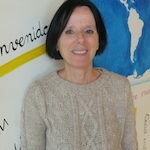 She has taught French as a Foreign Language since 2008 in Paris and its surroundings. In addition, she is an examiner for the DILF and DELF exams. 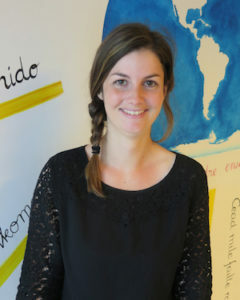 She loves teaching French and meeting news cultures thanks to her students. She likes board games, team sports, camping and she enjoys travelling in Eastern Europe (Hungary, Czech Republic, Poland…). 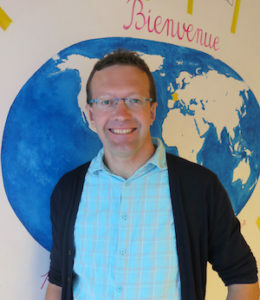 Born in Haute-Savoie, Dominique has a degree in English and a Master of teaching French as a Foreign Language. First, she taught French to Vietnamese refugees based in Phillippines. Then she moved back to France and created her association that helps refugees and asylum seekers. 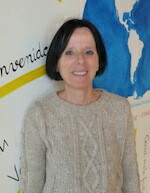 She has been teaching at CILFA since 2009. 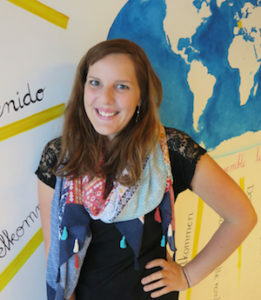 She loves teaching French and she likes to discover other languages and cultures. Also, she enjoys hiking and travelling. 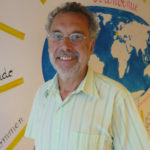 Born in Annecy in 1957, Annick has a degree in bilingual Secretariat (English). 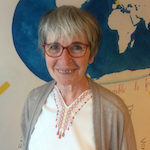 She worked in Lyon, Annemasse and Annecy. Also, she likes spending time in the field of associations as it is a good way to meet a lot of people from diverse backgrounds. 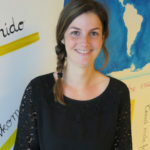 Working part-time at Cilfa since October 2015, she is an accounting assistant. She loves hiking, cycling and enjoys reading (literature, philosophy, novels). 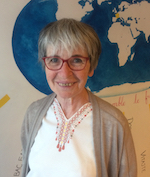 Born in Haute-Savoie, Marie holds a degree in History and a Master of teaching French as a Foreign Language. After living abroad for a few years (England, Canada and South Africa), she decided to move back to her native region in the French Alps. 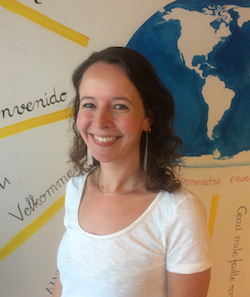 Working at CILFA since December 2015, she is supporting the secretariat and the pedagogic area. 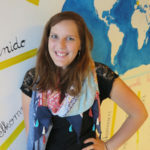 She likes skiing, hiking and she enjoys travelling and being immersed in new cultures.